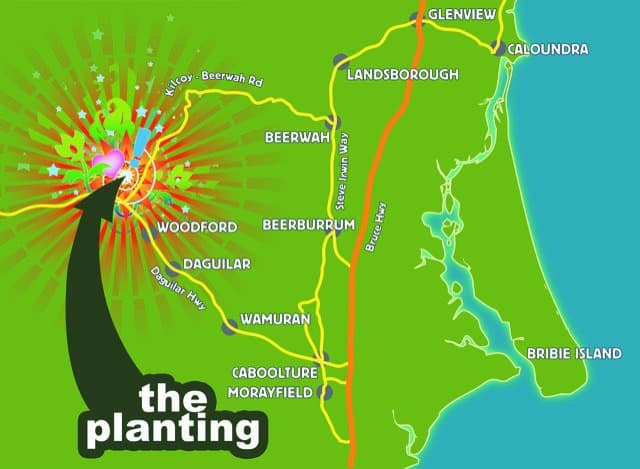 The Planting Festival is a cultural event held in Woodfordia which also focuses on the important issue of conservation. Held over 3 days, this festival involves a range of workshops, musical performances, talks and presentations as well as tree planting. The Planting Festival first started in 1997 where a group of volunteers came together to plant trees in order to restore areas of the Queensland hinterland. Now an annual event, this festival has grown over the years to now include important cultural activities and performances which brings the whole community together. There are many workshops and masterclasses held throughout the festival which focus on creating artworks or performances with intensive skill-building exercises. There will be book writing classes, horticulture lessons and how to recycle and re-purpose clothes – just to name a few. There are also film and comedy showings as well as a full program for kids including singing classes, learning about bugs, face painting, dance lessons, magic shows and art classes. 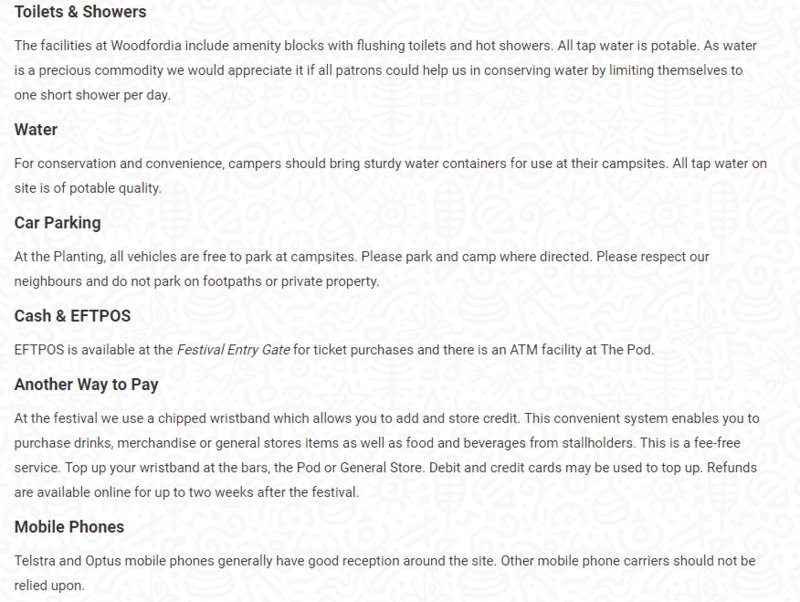 Some people choose to camp on-site during the festival and meals can also be provided at an additional cost. You are welcome to bring your camper-van, motorhome, caravan or camper trailer to the festival, but please note that powered sites are not available. 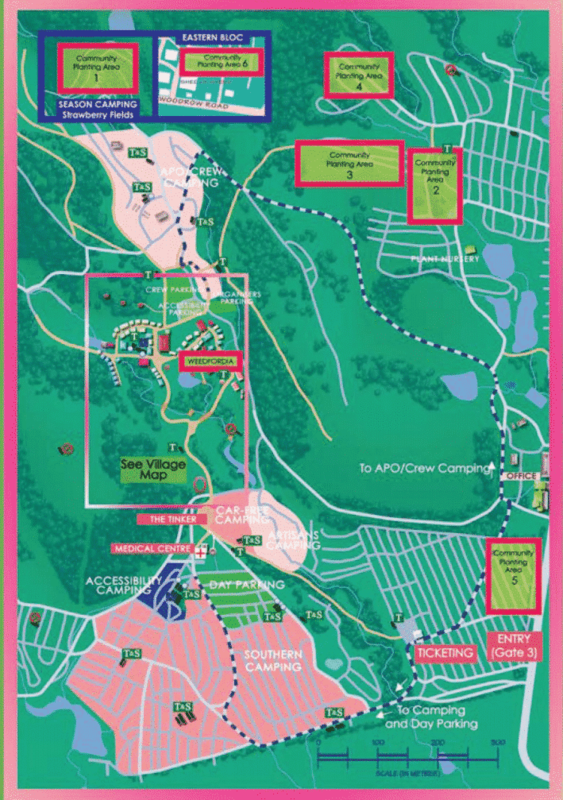 Camping spots are allocated on a first come first served basis and cannot be reserved. You are allowed to bring your own food, however, please note that fires or generators are not permitted. Tap water on site is drinkable; however, you are encouraged to bring your own drinking water. There are hot showers and toilet facilities on site. So come over to this fantastic event and learn more about Australian art and culture! 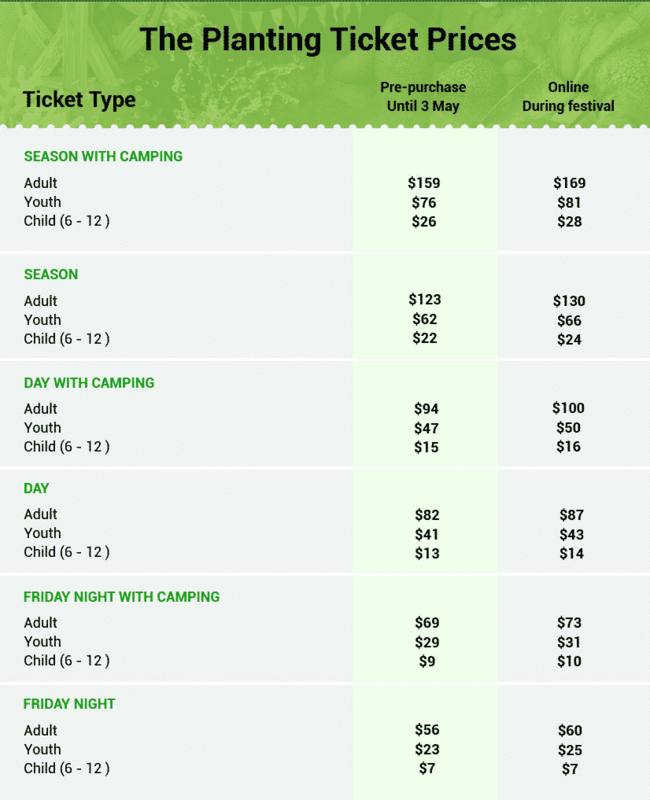 Tickets for the 2018 Planting Festival are yet to be released, so not sure if prices will be the same as 2017. Check back with us and I will update the page once the single day ticket prices are announced.